Even if you’re lucky, and can eat what you want without gaining weight, should you? No! Because being skinny doesn’t automatically give you a clean bill of health. 25-30% of people with an ideal body mass are actually ‘skinny fat’. What this means is that thought they appear skinny on the outside they have fat deposited around vital organs on the inside. 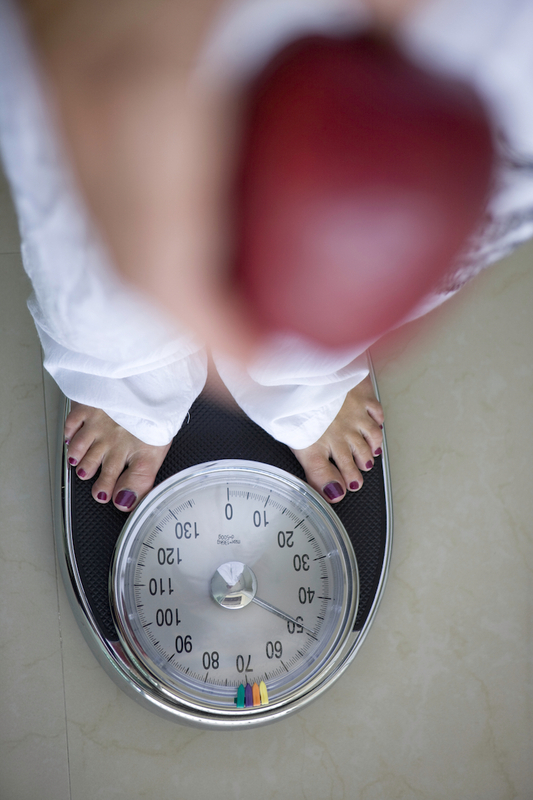 Central fat matters, even if your overall weight is normal. So how do you suspect if you are at risk of being a skinny fat person? Signs of skinny fat syndrome include family history of type 2 diabetes, early onset of heart disease, or even having a little potbelly. Measure your waist to hip ratio. Get blood tests for fasting glucose and cholesterol even if you’re skinny! A high fasting glucose, or a cholesterol profile that shows raised triglycerides or low HDL suggests you’re at risk. More advanced tests to see if you are making unhealthy fat cells can be done by doing a fasting blood test for leptin (a bad hormone released by sick fat cells) and adiponectin (high levels are good). That’s important because people with low good hormones like adiponectin are up to 9 times as likely to develop type 2 diabetes and have a 2-fold increase in the prevalence of coronary artery disease . A change in diet can normalise the biomarkers, reduce the bad leptin levels and increase the good adiponectin levels. Avoid artificial sweetners in soft drinks. Eat omega 3 rich foods. Do weight training. Ensure 7-8 hours of sleep per night. In one study oral magnesium supplementation improved the metabolic profile of skinny fat individuals. Oral magnesium supplementation improves the metabolic profile of metabolically obese, normal-weight individuals: a randomized double-blind placebo-controlled trial.